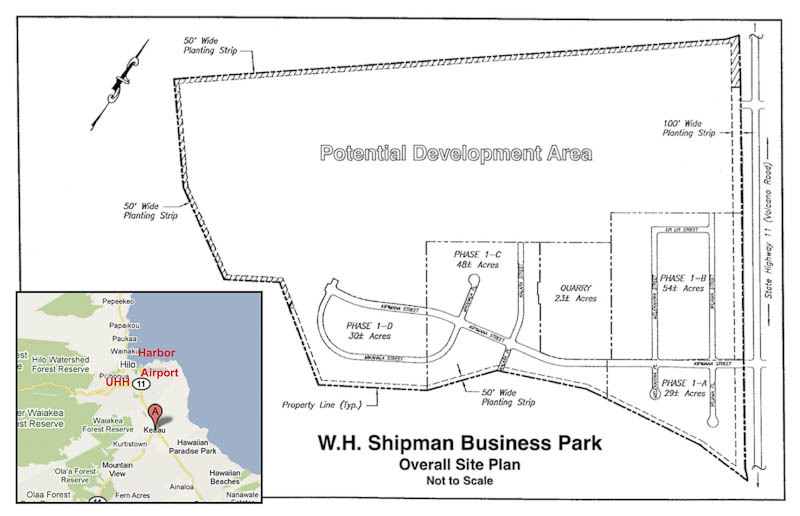 To meet current and projected industrial demand, in 1988 W. H. Shipman opened it’s industrial park. Located in the busy volcano corridor 9 miles south of the port of Hilo, Hawaiʻi, W. H. Shipman Business Park offers a unique environment for servicing both established Hilo businesses and the growing businesses in the Puna District. 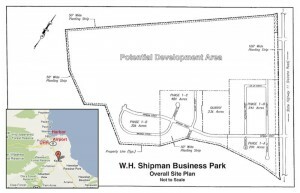 With a total of 485 acres zoned, the Park is the third largest such park in the State offering the bulk of fee simple industrial lands for the East Side of the Island. 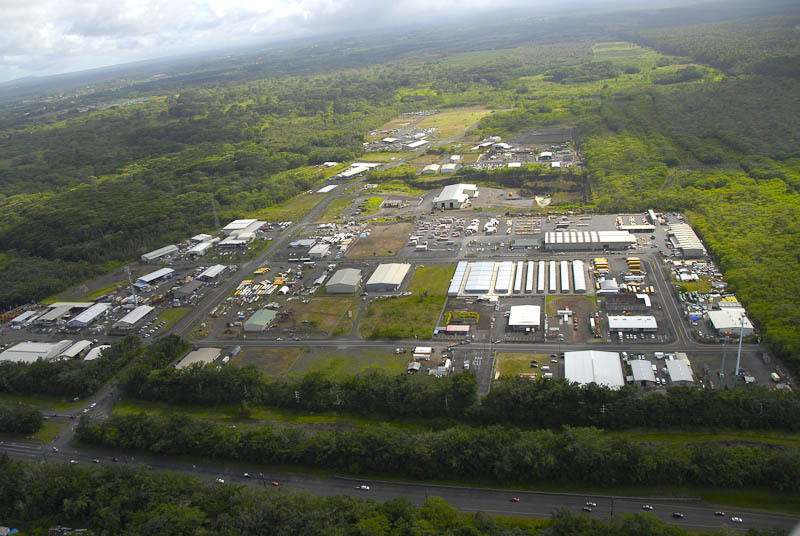 The Park supports distribution for the entire island, housing organizations including, Pepsi-Cola, Hawaii Planing Mills, Anheuser Busch Distribution, Big Island Bio-Diesel among others. Zoning allows for existing credit unions, restaurants, self-storage, manufacturing, warehouse outlets and home improvement centers among others.